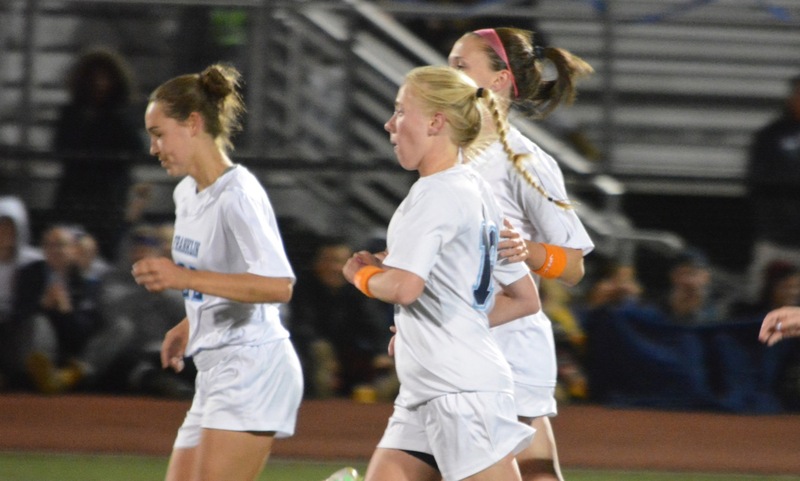 Click here for the 2016 HockomockSports.com Girls Soccer Awards. Below are the official 2016 Hockomock League Girls Soccer All Stars, selected by the coaches in the league. FRANKLIN, Mass. 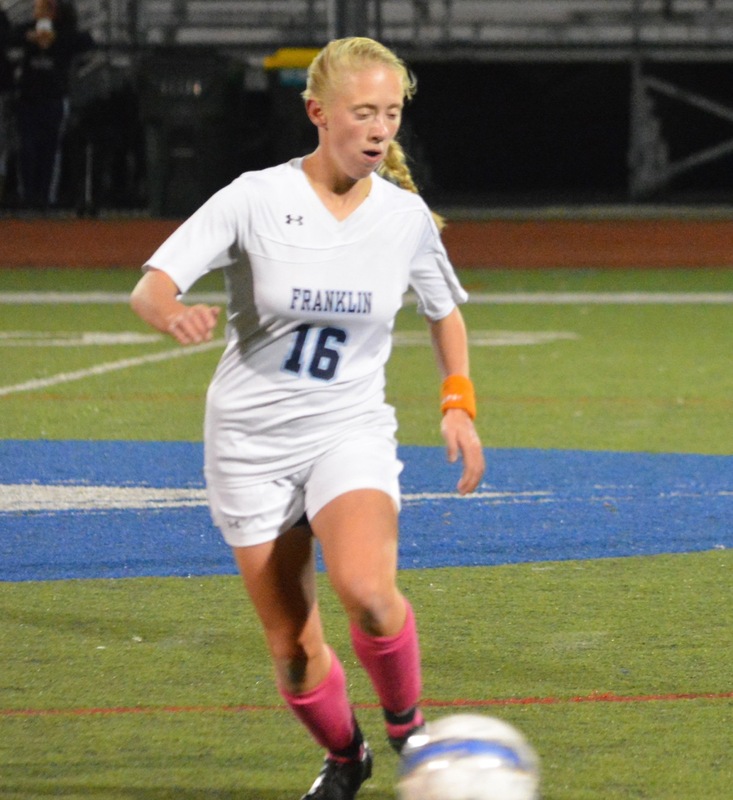 – During Franklin’s win on Friday, head coach Tom Geysen noticed that senior Victoria Stowell was getting frustrated because, despite her team leading 7-0, she could not find the back of the net. 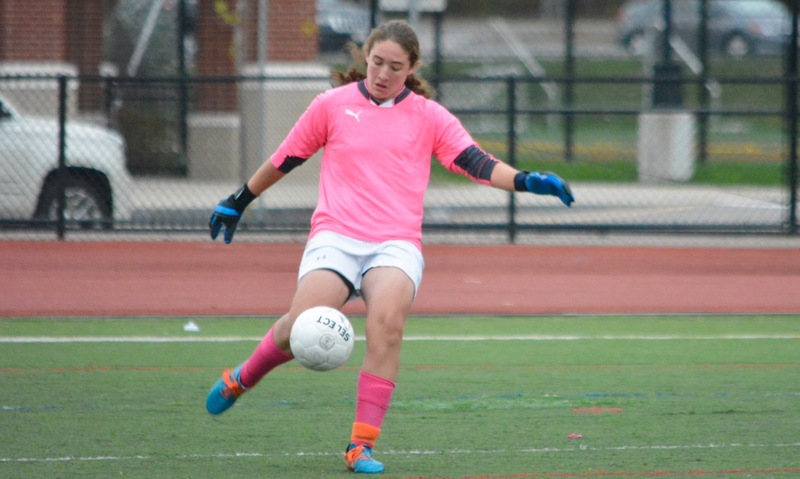 Stowell paid attention and on Monday she celebrated Senior Night against Mansfield with a pair of second half free kick goals that gave Franklin a 2-0 win and clinched the program’s sixth consecutive Kelley-Rex Division title. In a game that featured few chances for either team, Franklin had a golden opportunity in the 53rd minute. The ball was flicked forward by Alexis Stowell into the path of Emily Spath and the senior was able to chip it past the onrushing freshman keeper Lauren Whitman but then watched helplessly as the ball skipped off the far post. Just seconds later, Franklin won a free kick and from 35 yards out, Victoria Stowell smashed the ball off the far post and in for the game’s opening goal to make it 1-0. Megan Georges hit the bar for Franklin 12 minutes later and then with five minutes remaining Stowell again teed up a free kick – this time from 40 yards out. Once again (and for the third time in two games against the Hornets this seaon), she was able to curl the ball into the top corner to make it 2-0. Geysen praised Stowell after the first win against Mansfield as a big game player. She lived up to that billing in the rematch as well. Mansfield’s best chance came with two minutes remaining. Jen Kemp laid a pass into the path of Rebecca Bornstein and the senior smacked the ball off the crossbar from the edge of the 18. It was one of the few shots that the Franklin defense allowed and only second shot that Mansfield put on target in the game. The Hornets put junior Hannah Reiter up top to be the focal point, but the Panthers defense closed down her space and closed off the passing lanes to her fellow forwards. The Panthers defense, which also features Nadia Havens and Abigail Gipson, is a major reason why another they claimed another league title. Franklin has yet to allow a goal through 14 games, which is even more remarkable because three of the four starters from last year (Lindsay Mastaj, Leah Benson, and Nicole Ellin) needed to be replaced. Franklin (13-0-1, 12-0-1) will put its unbeaten record on the line on Thursday evening at Taunton. 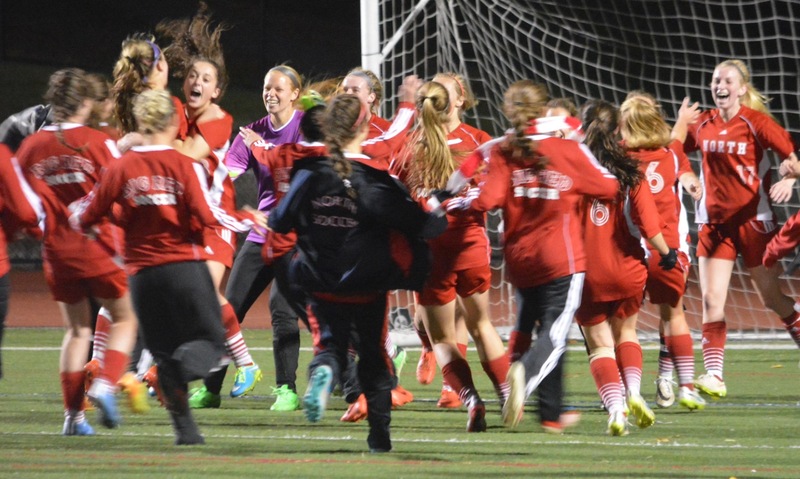 Mansfield (9-3-2, 8-3-2) will travel to North Attleboro on Friday afternoon.